Uh, Yo December Can You Please Slow Down? December is FLYING. What is this? Only a week and a half until Christmas and I feel totally and absolutely unprepared. Normally by now I would have most of my baking done, gifts bought, cards sent, the whole sha-bang. I don’t even have the tree decorated! I definitely wish I could take a pause button so I can spend some time just getting crap taken care of… this working full time business, riding my horse, and working out 3x a week really takes chunks out of my schedule. I feel like since moving to Colorado I have been on permanent flash forward without being able to take a second to just enjoy everything. I feel like once I am fully decorated for Christmas, it will be long gone. Any tips or tricks to get organized? I am looking at you! In other words, getting back on the wagon has been progressing. I do admit I FAILED ABSOLUTELY MISERABLY over Thanksgiving (-cough7poundweightgainandwaterweightwhoocough-) but I quickly pulled in the reins and am settling down into a nice rhythm which I had definitely missed over the past year. We are making more meals at home, concentrating on having left overs, and discussing more openly about our goals and staying healthy. 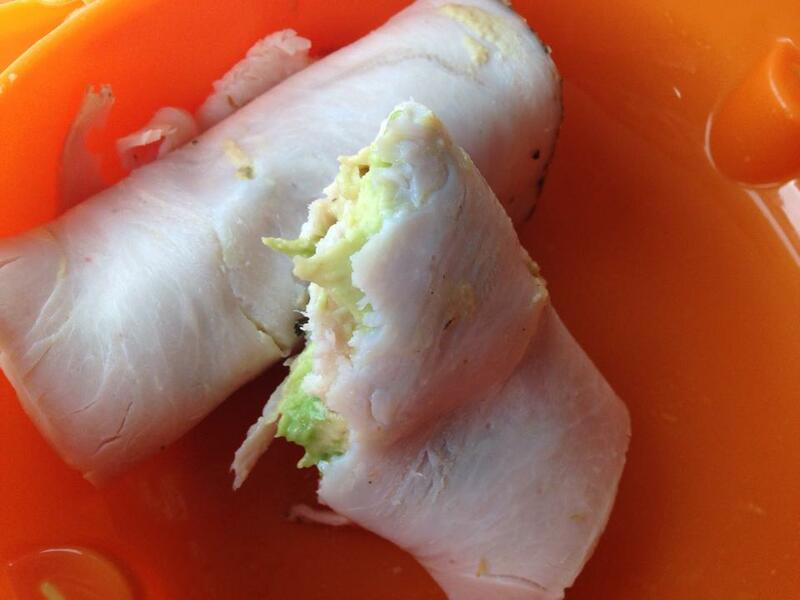 One of the things I have been absolutely loving are turkey, hummus and avocado wraps that I can take into work. They are absolutely divine! I did not imagine liking something so much that is so simple. So simple, so easy, so yum! All you need? Sliced Turkey Breast, Whatever Type of Hummus you want thinly spread on, and 1/2 an avocado. Enjoy this low calorie deliciousness lunch!